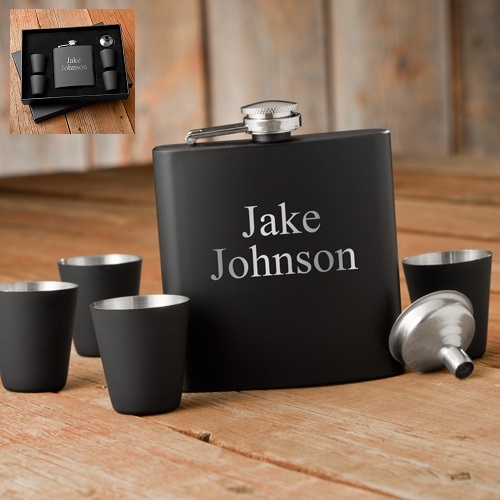 You just hit the holy grail of Flask Sets. 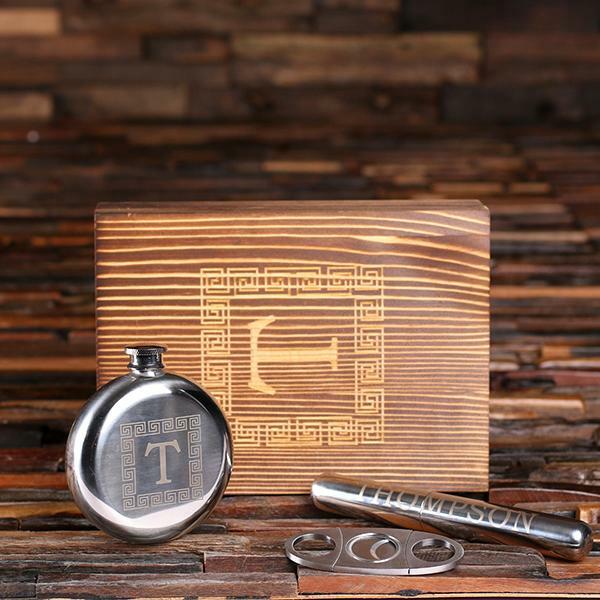 The flask holds an unreal 18oz of your favorite whiskey or beverage. The best thing? The whole freaking thing is personalized! INCLUDED: metal whiskey 18 oz. 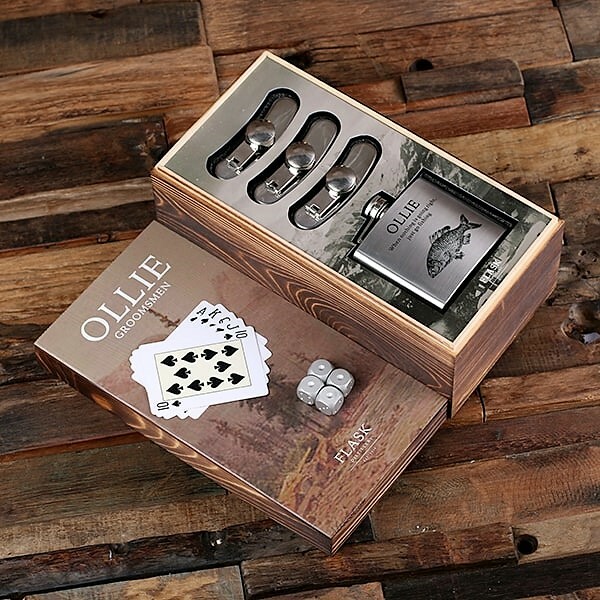 flask with funnel, engraved keepsake wood box, and 4 whiskey shot glasses. 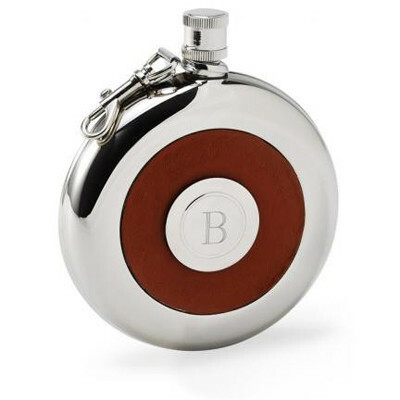 Flask Size = 18 oz. 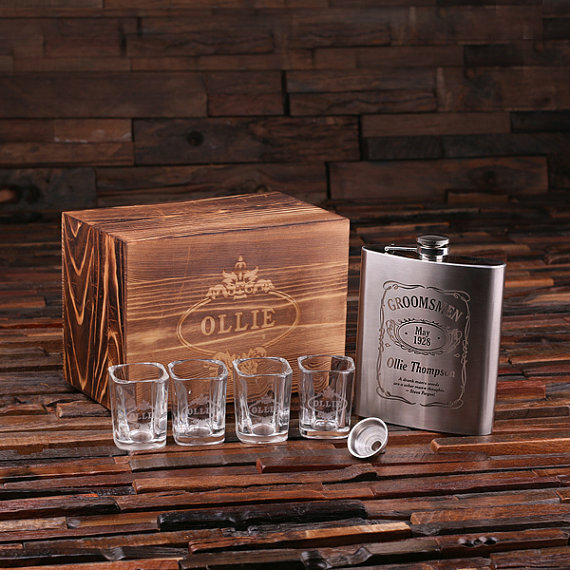 (4.75 x 6), Wood Box Size = 10 x 5.5 x 2.5, Shot Glasses = 2.3 (H) or 6 cm (H) 2 ounces. 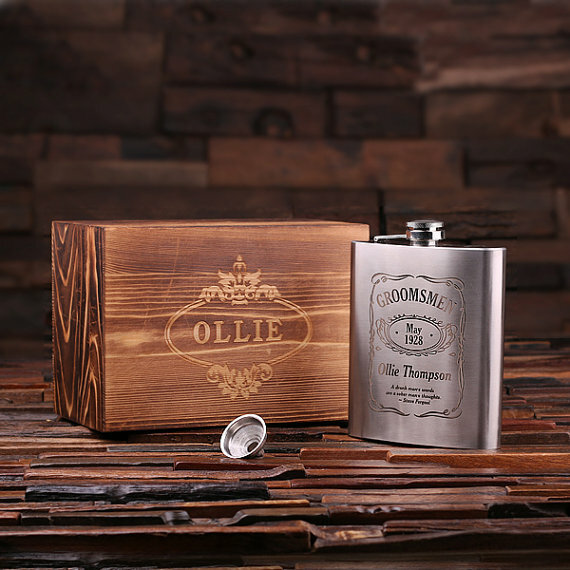 PERSONALIZATION: line #1: on wood box and shot glasses, lines 2-8 on flask - line #2: replace "GROOMSMEN", line #3: replace "May", line #4: replace "1928", line #5: replace "Ollie Thompson", lines 6-8: free text (such as a quote). Our promotions are all about saving you money! Just when you thought our prices couldn't get any better, we introduce this promotion! This product promotion isn't about us though, it is about YOU. Designed for You, Delivered By Ace. 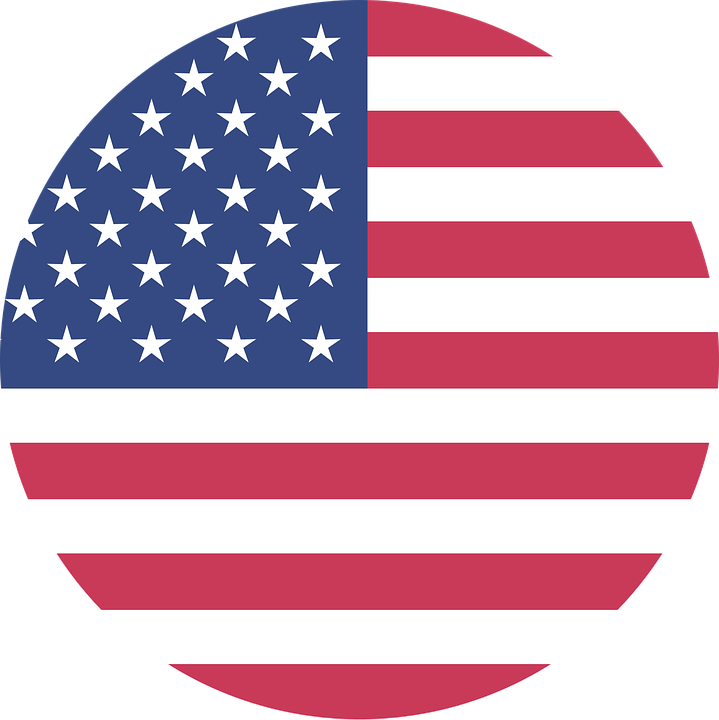 Here at BlackAceDesign.com, we know our customers enjoy the feeling of getting a good deal and we enjoy making you, the customer, happy. This simple, yet elegant personalized gift offers transparent beauty with a hint of something different. 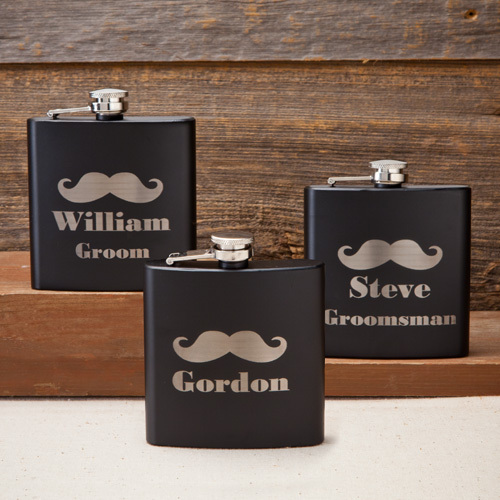 Know that when you browse our collection of outstanding personalized gifts, you are sure to find something to satisfy everyone's taste AND everyone's budget.